I've been researching the history of suffrage in England for the cozy mystery series I'm writing with a partner - Book 1 is coming out September 23rd this year, and Book 2 in 2015. It's been fascinating, but I also remember researching a little about suffrage in Wyoming while writing Double Crossing. It seems odd to me, as a modern woman, to consider that less than half a century before my birth, women marched in the thousands to fight for their voting rights. But hold on a minute -- turn the clock back years before the 19th Amendment was ratified in 1920, back to when the United States was born. Did anyone notice that there are no signatures of famous women on the Declaration of Independence? Women who were free and had property could have voted -- and some did -- but they lost that right in New York in 1777, in Massachusetts in 1780, in New Hampshire in 1784. New Jersey, however, didn't revoke the rights of women voters until 1807. The founding fathers, Jefferson and Adams especially, had no intention of allowing women a voice. Adams replied to his wife's urging to "remember the ladies" in coding the new laws with a tease that men were already subject to the "despotism of the petticoat." And so, despite Abigail Adams' (and other women's) support and help behind the scenes, Adams and the other "fathers" cut women out of having a voice in the government. Hmph. But enough grumbling. So why did Wyoming Territory choose to grant women citizenship and voting rights? Why would they risk angering the men who lived there? Especially given the six-to-one ratio of men versus women residents. For that reason alone, legislators no doubt wanted to draw more women out west and bring a more civilized atmosphere to Laramie and Cheyenne. Perhaps they hoped that women would be grateful for their unique opportunity and vote with those who granted them the right. There was opposition, too. But one thing is certain -- Wyoming certainly received a load of free publicity over the issue. Some of the legislators did believe that women ought to have the same rights as African-Americans (men, of course) who gained citizenship and voting rights by passage of the Fourteenth Amendment on July 9th of 1868. And remember, all of the Southern states had to ratify that amendment in order to re-enter the union. Whatever the motives, Wyoming approved suffrage for women on December 10th, 1869 -- half a century before the other states. 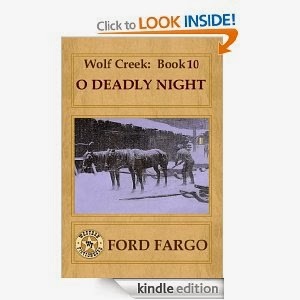 Women seemed to have many firsts in the western Wyoming territory. Early in 1870, Esther Hobart Morris was appointed a Justice of the Peace since the previous man had resigned in protest after the vote for suffrage. She even had her own husband arrested once since he was a drunk, a gambler and idle. 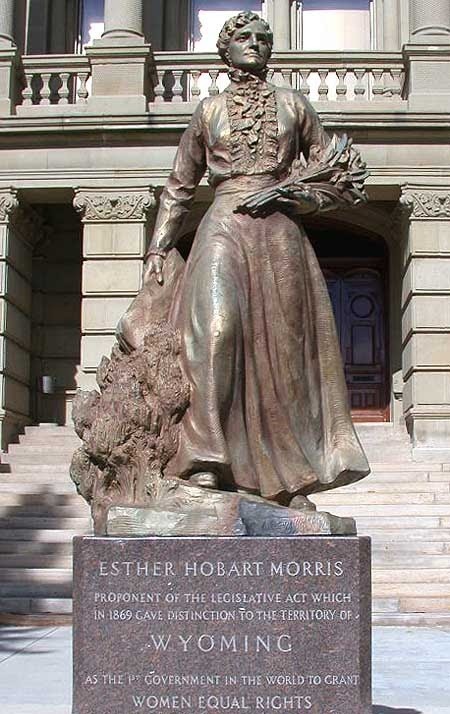 To the left, a statue of Esther Hobart Morris stands in front of the Cheyenne State Capitol. 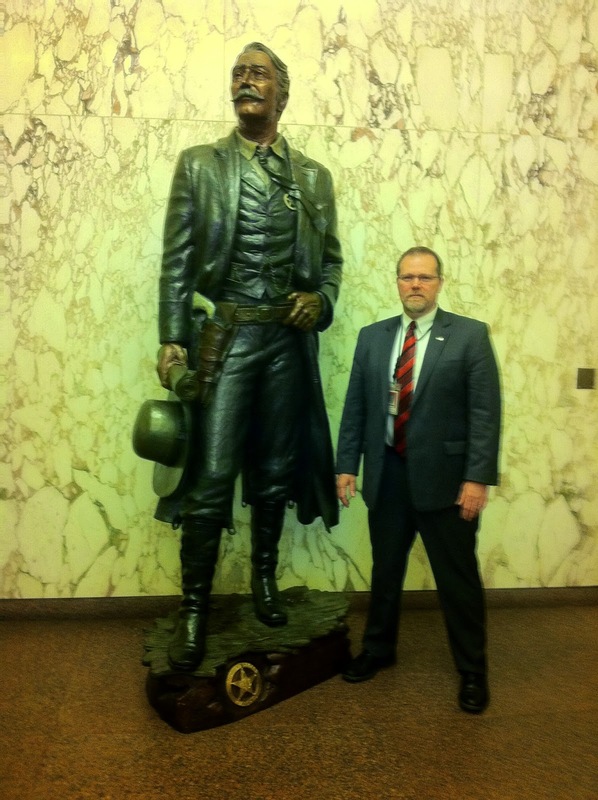 A bronze copy of the statue is also in the U.S. Capitol's National Statuary Hall Collection in Washington, D.C. I felt pride for Wyoming's women when I visited there a few years ago, since she was the first woman appointed to public office. And Kansas claims Susanna Salter as the first elected mayor (1887). Hooray for western pioneer women! Wyoming women were also called to served on juries after the suffrage vote. And in September of 1870, almost 1,000 women voted in the territory's second election. 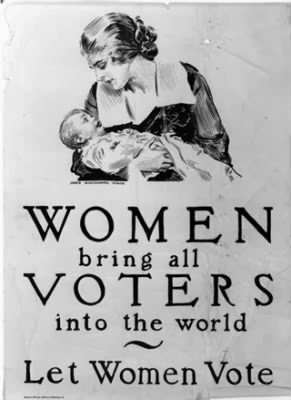 To think it took another 50 years before the rest of the women living in America could take a ballot. Our foremothers fought hard to gain voting rights. So next time there's an election, ladies, make sure you vote. We owe them that much. Meg Mims is one half of the D.E. Ireland team writing the Eliza Doolittle-Henry Higgins cozy mystery series for St. Martin's Minotaur, coming out in September 2014. 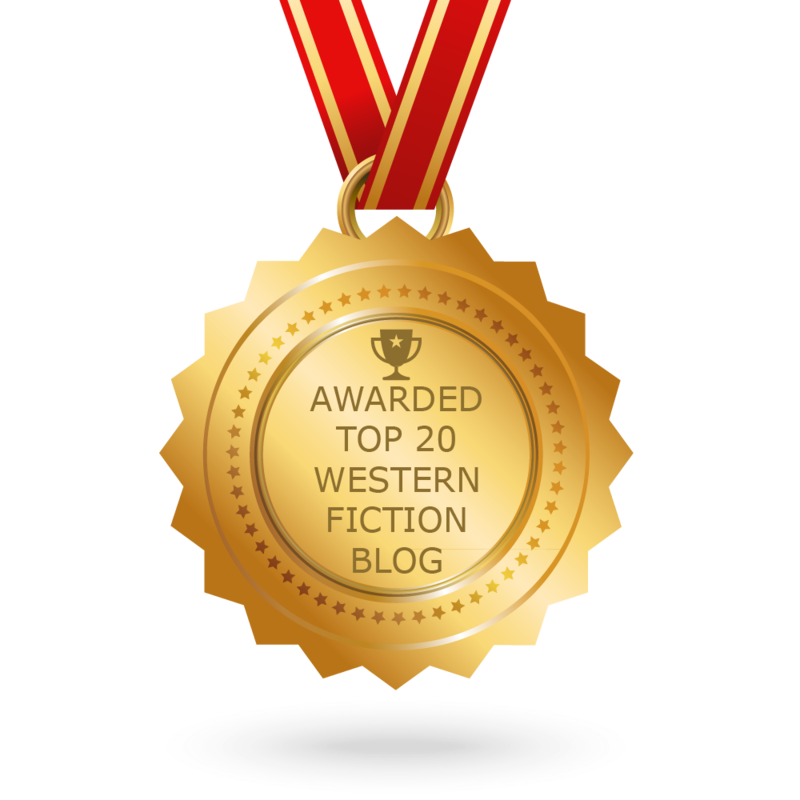 She’s won a Spur Award and a Laramie Award for her western mystery series and also writes sweet dog/cat rescue romance novellas. Meg loves books, flower gardens, visiting tearooms – anything to get out of dusting. Vacuuming does help plotting, though. 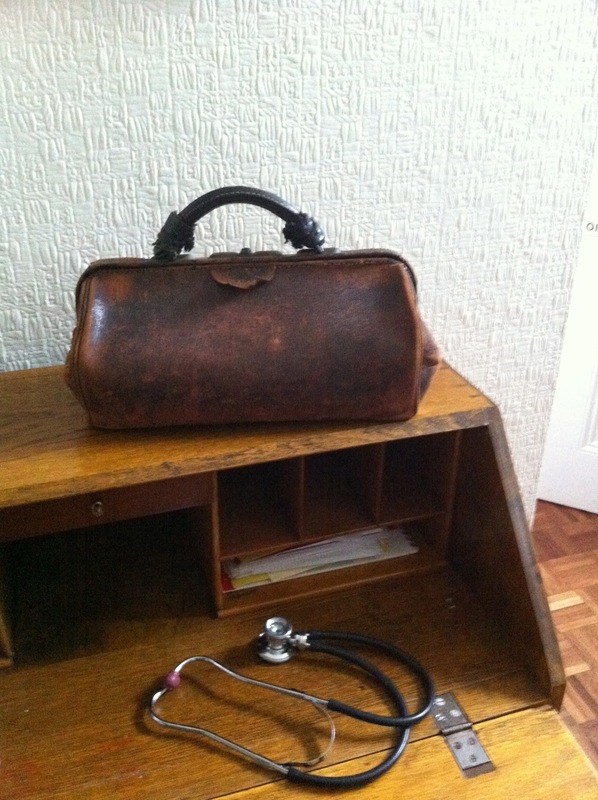 In this issue of The Doctor's Bag I'm heading back a little further in time to describe one of the glorious quacks of the past, who invented a system of medicine that swept across the USA and Europe. The inventor was a doctor and his system was called Tractoration. 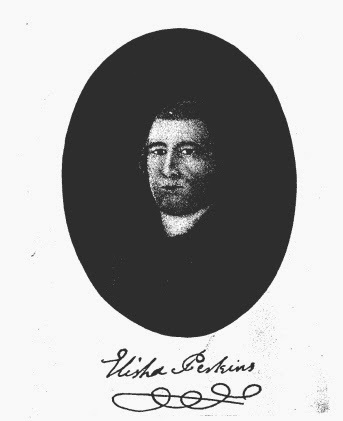 Dr Elisha Perkins (1741-1799) was a country doctor who was born in Norwich, Connecticut in America. In the 1790s, he advertised a medical invention that he claimed was capable of curing all manner of ailments. He modestly called the invention Perkins’ Metallic Tractors, and the system of medicine that he introduced as Tractoration. Essentially, the metal tractors were two rods of steel and brass, which he claimed were unusual alloys, each tapered at one end. 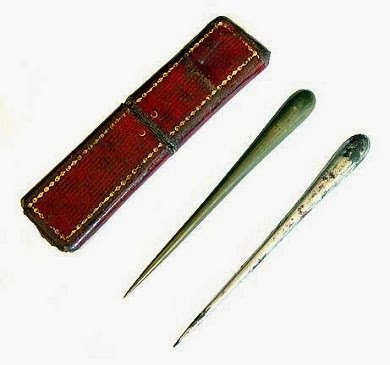 The blunt ends were held by the practitioner and the pointed ends were stroked on the patient’s body, down and outwards. It was based on the belief that metal could draw disease out of the body. And Perkins claimed great results with all manner of ailments – toothache, stomach complaints, rheumatism and gout. Gradually he extended the range of conditions to include virtually everything, even paralysis and dropsy. Other doctors tried his method and soon tractoration was enjoying a phenomenal success. Grateful patients and other doctors alike gave glowing testimonials. George Washington the first president of the USA himself tried the method, and was apparently an enthusiastic supporter. The Connecticut Medical Society, however, did not concur. They accused him of ‘delusive quackery’ and judged that he was ‘a patentee and user of nostrums.’ Accordingly, they expelled him from their society. Despite this other medical societies were supportive and his fortune grew. More than that, his fame spread across the world. When a Danish diplomat returned to Copenhagen he took with him a set of tractors and news of the method. Twelve celebrated surgeons put the method to the test at the Royal Frederick Hospital and reported tractoration a phenomenal success. His son, Benjamin Perkins travelled to Britain to spread the word about tractoration. Before long he received the backing of the medical profession and he was soon established in a lucrative practice in the West End of London, where smart society sought his services. ‘The tractors, with every necessary direction for using them in Families, may be had for 5 guineas the set, of Mr. Perkins, of Leicester Square; or of Mr. Frederic Smith, Chemist & Druggist, in theHaymarket’. In 1803, Perkins was helped by an aristocratic friend supporter to set up a Perkinsian Institute in Soho in London, for the benefit of the poor, who were not able to shell out the five guineas a set. This however, was not a success. The poor who flocked to the Institute for treatment claimed in vast numbers that the tractors did nothing. Perhaps their ailments were more genuine than those of polite society, or perhaps it was because they were not paying for their treatment, but they derided the method. This led some of the medical profession to put it to the test. Some experimented with animals and found tractoration to be valueless. This is the first recorded demonstration of the placebo effect, even though it had been speculated about as early as 1772. Tractoration soon declined and Benjamin Perkins retired to his home in America a rich man. Sadly, his father the founder of tractoration, Dr Elisha Perkins died of yellow fever while on his way to New York to promote a new antiseptic that he had invented to deal with dysentery and sore throats. Benjamin died in 1810, and the tractors having no further advocate fell fully from grace. Ironically, despite their worthlessness, a set of Perkins Metallic Tractors will nowadays cost you considerably more than five guineas. Last year, I was fortunate enough to go to Gettysburg for the reenactment that coincided with the 150th Anniversary of the battle. I would have written about it sooner, but I wanted to take some time to process everything because I took part in a lot of amazing things. They say that the battlefield is one of the most haunted places in the world and while I didn't experience anything of that nature first hand, I can certainly understand why the place has such a reputation. While we were there, we formed up as a company and marched across the battlefield in the footsteps of Pickett's Charge. 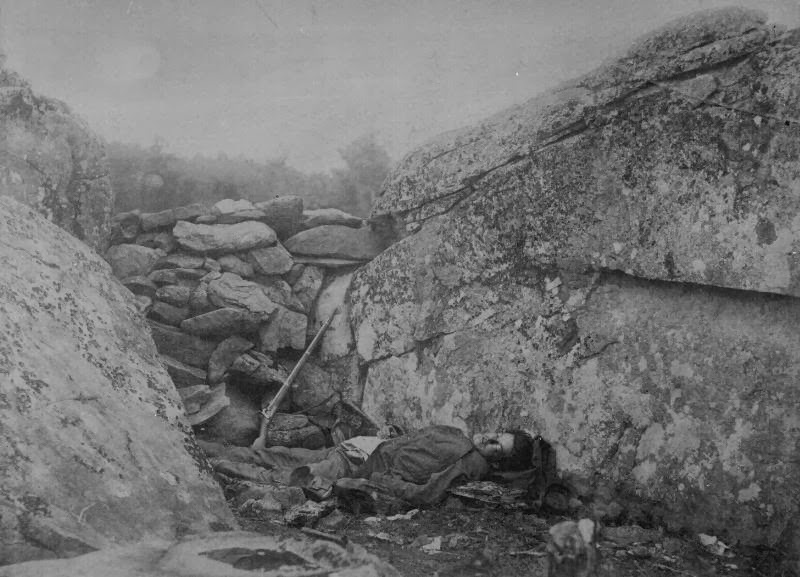 I've never been in war, but it was not difficult to image the hell that it must have been for those gallant men to march across that open field with artillery and bullets raining down upon them. That was one of the most overwhelming, surreal and moving things I've ever experienced. distance against the tree line is where the Charge began. I also went to Devil's Den, one of the deadliest places on the battlefield. There are tourists everywhere, so it was sometimes difficult to get photos without someone else in them. The size and scope of the battlefield is difficult to image unless you are actually there. person waving in the background. is the High Water Mark of the Confederacy. While we were travelling, we also stopped at VMI, Washington and Lee University, the burial sites of both Robert E. Lee and Stonewall Jackson, Lookout Mountain, and Chickamauga. One of my ancestors fought and was captured at Gettysburg and another fought at Chickamauga. Overall, it was a great trip and a once in a lifetime experience. If you've never been to a Civil War battlefield, you owe it to yourself to visit one as soon as possible. 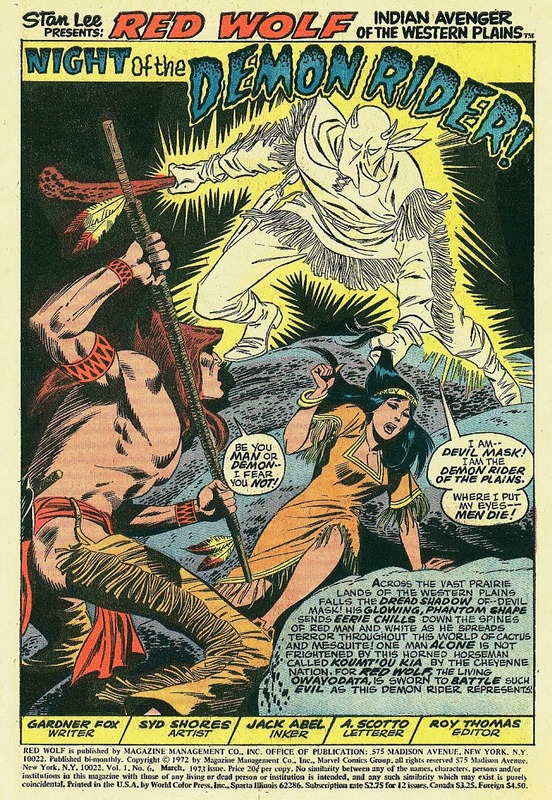 Last month I talked about DC's most famous Native American Indian character, Scalphunter (who was Kiowa culturally but not by blood, being a white child raised by the tribe.) 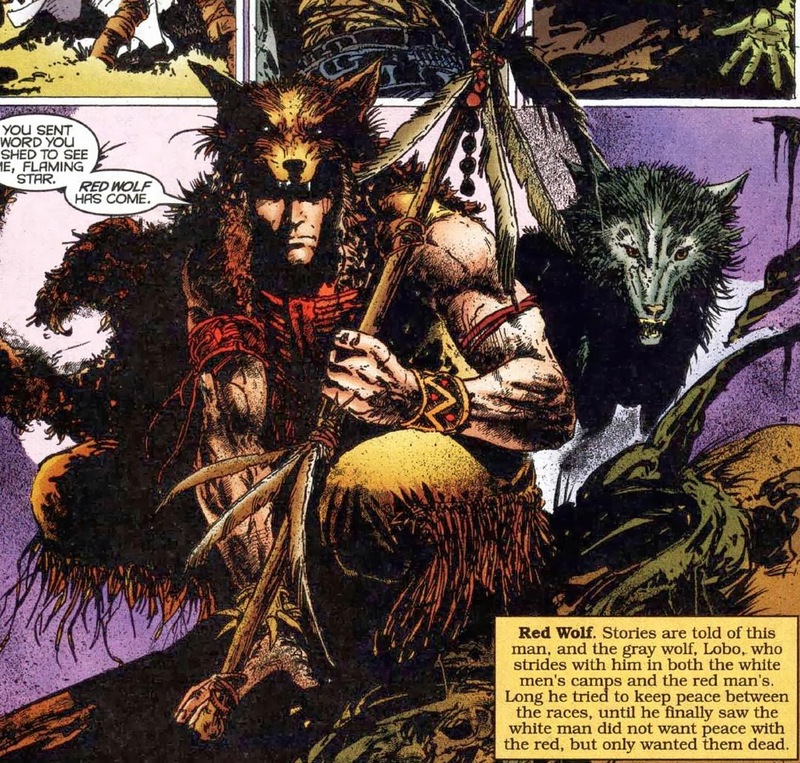 This time I'll discuss Marvel's top American Indian, Red Wolf -who (like the Ghost Rider and Iron Fist) is actually several different people, but in his case all of them are Cheyenne. 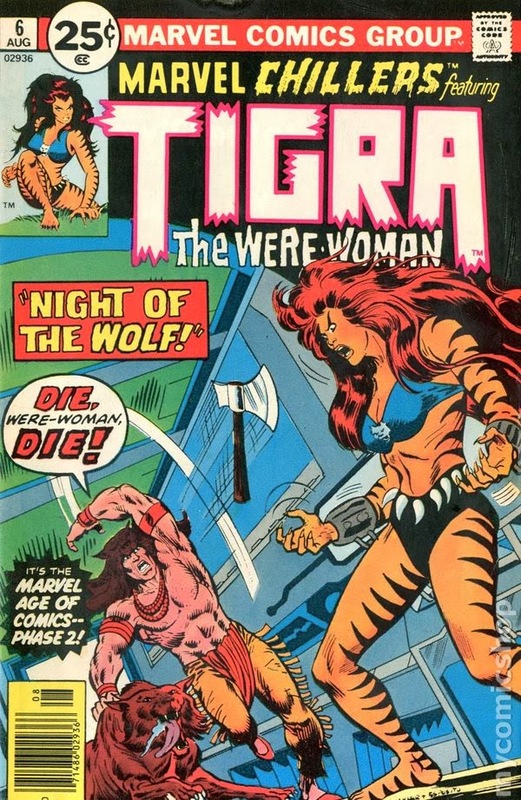 The character was first introduced in 1970, in the pages of The Avengers (by Roy Thomas and John Buscema, one of my all-time favorite creative teams.) 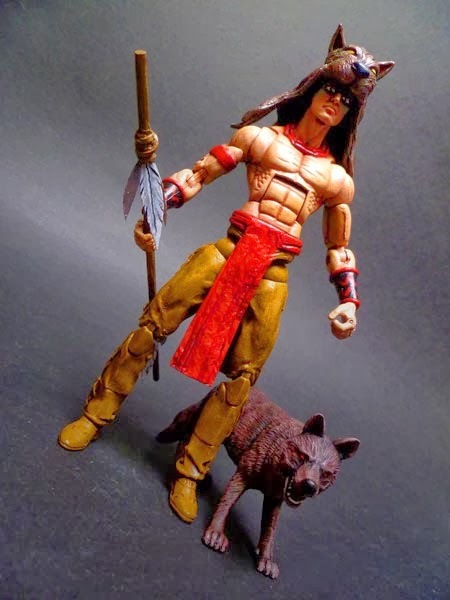 Red Wolf is actually a long line of special guardians of the Cheyenne people, appointed by the wolf-spirit Owayodata and given enhanced physical abilities and senses, as well as a wolf companion usually called Lobo. 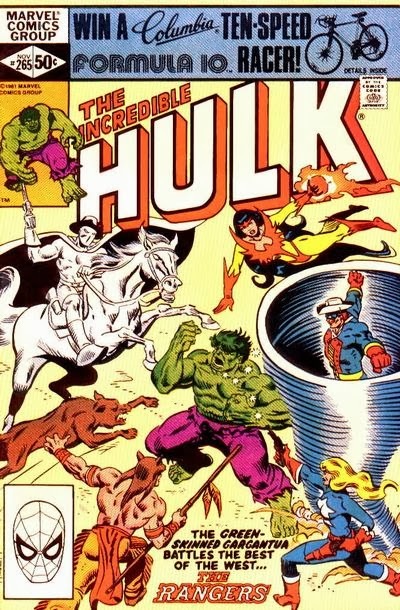 The Avengers met the latest in that long line, in the (then) contemporary world of the 1970s. 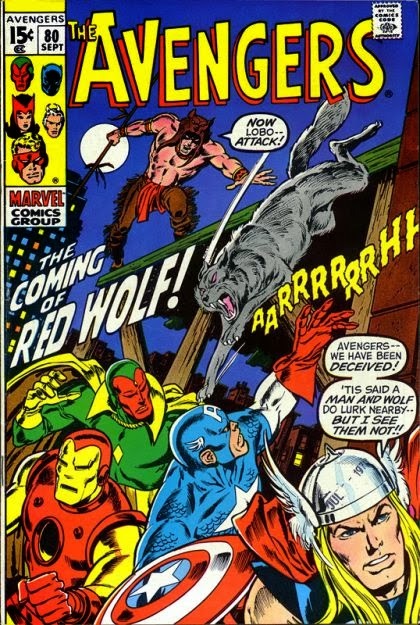 That incarnation of Red Wolf appeared often in ensuing years, frequently as a guest star in other superheroes' titles but sometime, as in Marvel Spotlight, on his own. 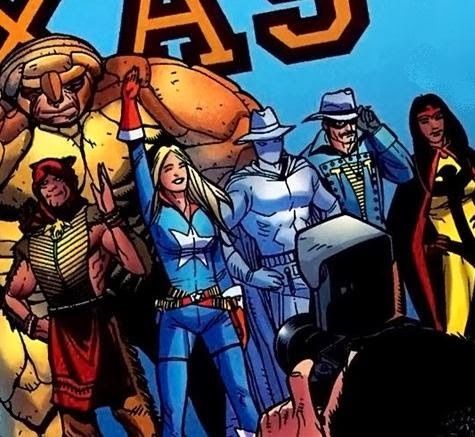 Since the 1980s he has been part of the Southwestern-based superhero team The Rangers. 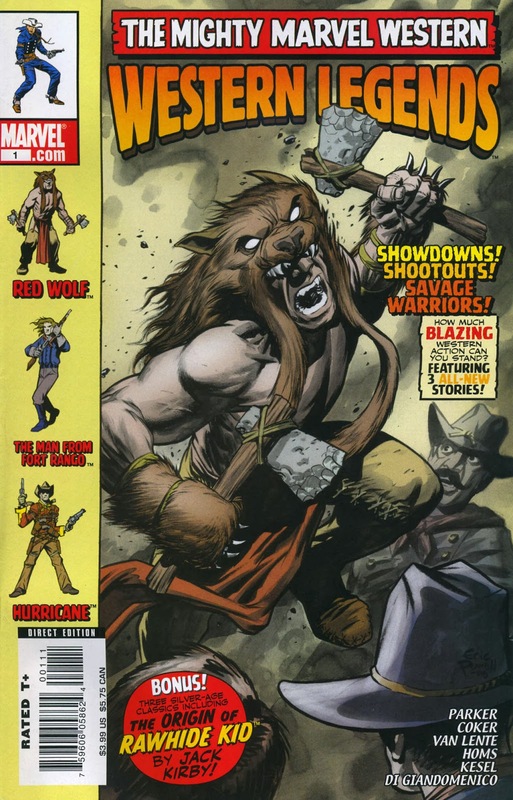 Since the 1970s, Marvel has also released many stories featuring the 1870s Red Wolf, who had his own miniseries and has appeared in such "western all-star" miniseries as Blaze of Glory and Rawhide Kid and the Sensational Seven, as well as encountering the Avengers on various of their time-traveling adventures. Red Wolf Guardians from other eras have popped up as well. And oh yes... he has his own action figure. Wildrun: the 18th century Red Wolf, who protected his people from the Sioux and was the first Cheyenne to tame the horse. 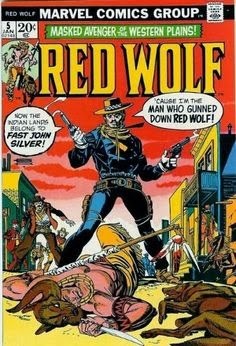 Johnny Wakely: the "Old West" Red Wolf, a Cheyenne raised by whites who served as an army scout, until the Wolf-Spirit appeared to him and granted him its power- after which he became the guardian of his people's heritage. 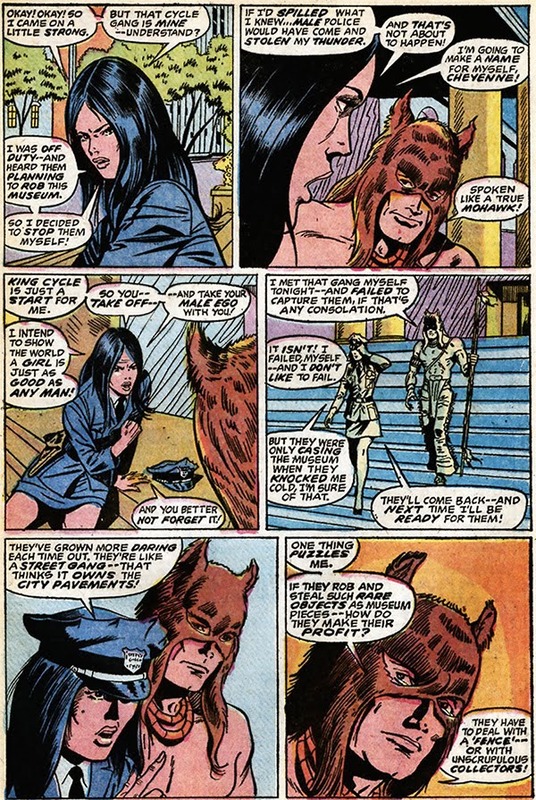 Thomas Thunderhead: 1970s Red Wolf. His partner was a Mohawk policewoman named Jill Tomahawk. 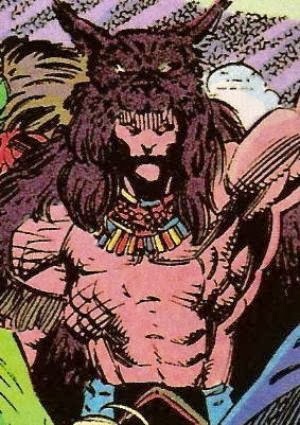 Will Talltrees: the current Red Wolf, and member of the Rangers. 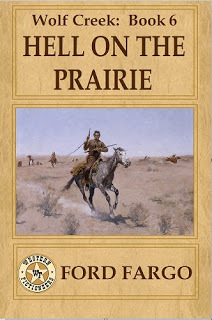 After the Civil War, Cole Tyler enjoyed several careers, none of them permanent: army scout, wagon train guide, and buffalo hunter for the Union Pacific’s rowdy track-laying team. The one career he never fancied was lawman. Nevertheless, when one of the founders of a railhead settlement is shot dead during a brawl that breaks out as the first train arrives, Tyler can’t resist the pretty widow’s request that he pin on a star and become the marshal of Wind River, Wyoming Territory. He figures he’ll stick around for a few months until the town settles down, and then he’ll pass off the job to someone better suited to a stationary existence. Tyler sticks around for six books, growing into the job as he and the town mature together. 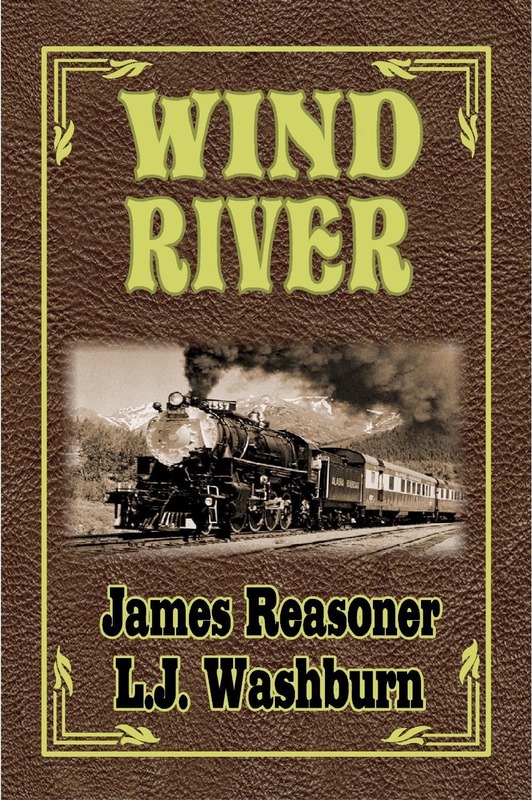 Wind River, he discovers, can be wilder than any wilderness. 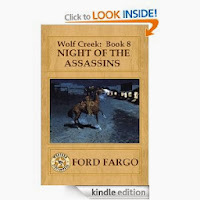 As marshal, Tyler stands at the center of a maelstrom of shifting alliances, political and economic intrigue, murder, extortion, Indian uprisings, and ethnic discord. And that's just before breakfast. Originally published in 1994 and ’95 by Harper Collins, the Wind River books represent series writing done extremely well. Though each short novel is a complete story in its own right, together they represent the sort of western saga one hates to see end. 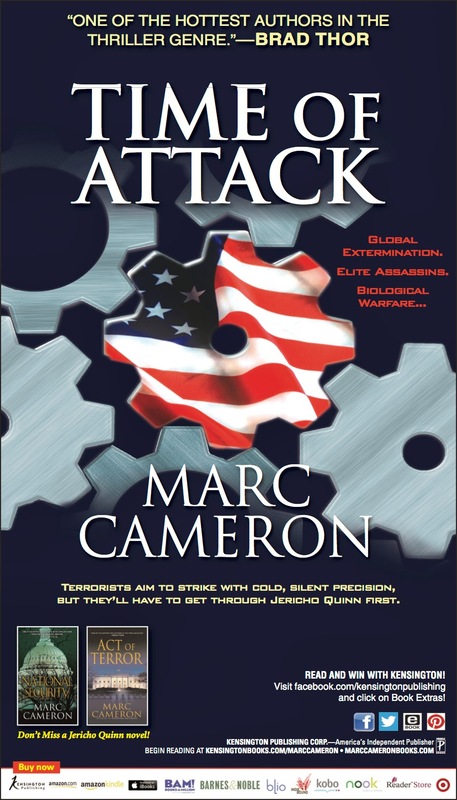 The writing is crisp and clear, the plotlines strong, and the action unceasing. 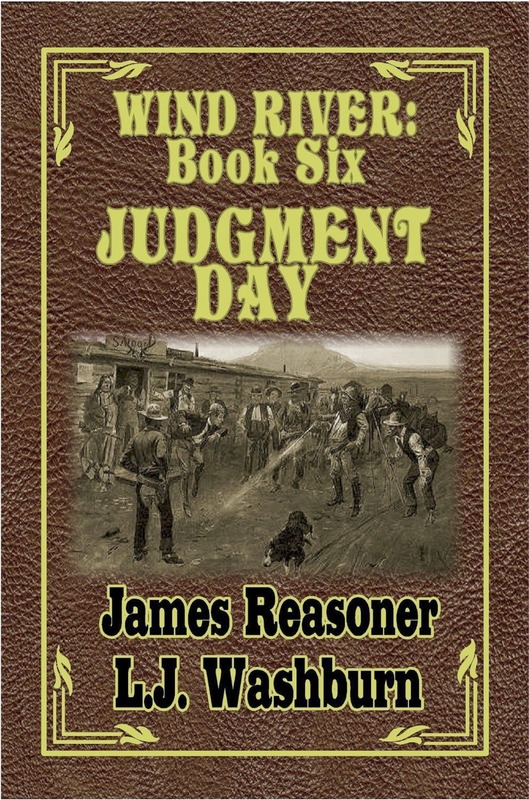 Reasoner and Washburn have an extraordinary gift for setting a scene using details that bring the primitive West to vivid life without bogging down the stories’ pace. Combine that with exceptional, three-dimensional characters and dialogue that completely avoids the trite, and it’s tough for readers to find a stopping point — even between books. It’s impossible not to draw comparisons between the Wind River series and the AMC television series Hell on Wheels. Both take place in the Wyoming Territory as the Union Pacific Railroad forges westward. Both trade in multiple plot threads that follow a large, diverse cast. The protagonist in both is a stalwart ex-Confederate who’d just as soon not have to deal with lingering mistrust and disapproval at every turn. Most conspicuous, though, are the striking similarities between a primary antagonist in both series: In disposition and role, Wind River’s William Durand and Hell on Wheels’ Thomas Durant could be the same man. Wind River, it should be noted, predates Hell on Wheels by fourteen years — and frankly, the former does a better job of remaining consistent and avoiding the sorts of potentially shark-jumping plot twists on which HoW too often relies. Even readers who balk at classic westerns will find plenty of entertainment in the Wind River series’ liberal doses of humor, mystery, and adventure. If the western is dead, somebody forgot to tell this corpse. 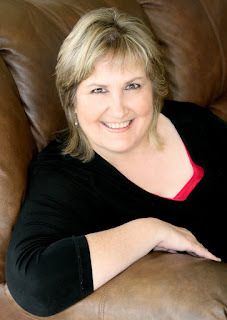 Kathleen Rice Adams is a Texan, a voracious reader, a professional journalist, and an author. Her opinions are her own and are neither endorsed nor necessarily supported by Western Fictioneers or individual members of the organization. Links in the review are for convenience only; they do not produce affiliate revenue. 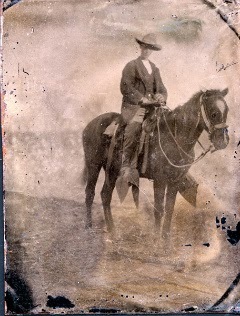 What would the Old West be without the horse? A man afoot, or footermans, was reduced to the lowly act of walking where he needed to go, and what cowboy would be caught dead without his trusty hayburner beneath him? The horse was truly indispensable: the original engine upon which all further mechanical power is measured. Whether pulling a wagon (or plow) or carrying a rider, the horse allowed mankind to spread beyond simple villages and explore the world. This will be the first of several articles about the horse. Further columns will explore the world of riding, saddles and tack, and the art of identifying horse breeds and colors. 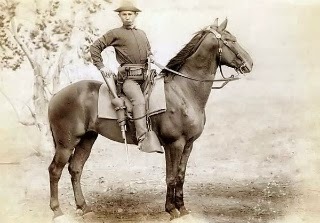 Mount, String: the team of saddle-horses allotted to one cowboy on a ranch or trail drive. Typically, it comprised four to six mounts or more: a cutting horse, roping horse, swimming horse and night horse, plus one or two broncos who were in training. The string belonged completely to the cowboy it was assigned to – he was responsible for it, and it was hands-off to everyone else. Outfits kept strings together from each rider to his successor. The new cowboy was never told anything about his string; the assumption was that if he was a good rider, he would need no advice. 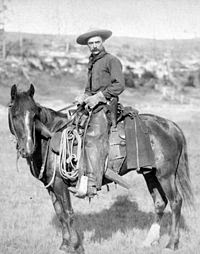 If a cowboy broke his string by losing a horse or getting one hurt, it was considered a bad omen. For the boss to break a string by assigning one of the horses to someone else was the same as telling the cowboy to find another job. What do you think? Have any others to add? 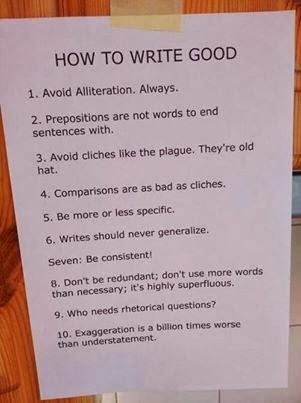 After years of editing, the one that comes to mind for me is, "Be care of using too many descriptive, detailed, pointed, modifying adjectives and adverbs all together, separated by so many commas that your run on sentence can only be halted in mid-stride by a semi-colon; then, it plunges on down the mountain and around the curve toward the oblivion that it was destined for because no one can even remember or, by this point, care about what you were trying to relate in the first place." Pet peeves any one? It's your turn to talk about "Writing Good". Allowing for obvious dissimilarities, if my bride and I were to play in a remake of Lethal Weapon, she’d be the Danny Glover character and I’d be Mel Gibson. She’s the rational, sane one and I’m…well…not. The sort of devotion that made Woodrow Call carry Augustus McCrae’s body all the way back to Texas, doesn’t spring up out of nowhere—and the hardship and adventure that builds that kind of relationship makes for a great story. A quick review of my novels will tell you I love to write about the bond of strong friendship—and I’m blessed to have incredible friends on whom to base the stories. Over the years, I have been fortunate to work with some of the finest men and women on the planet, often under austere and dangerous conditions. The U.S. Marshals training academy is a tough endeavor. There’s a certain amount of constitutional law, intensive interview training, and other practical exercises designed to emulate the real world of federal law enforcement. But the physical stuff is what weeds people out. There’s a heck of a lot of running, fighting, shooting, weight lifting… more fighting, and grass-drills that are affectionately known as “Marshals’ Beach”—where the instructors sit in deck chairs with zinc oxide on their noses while Basic Deputies do hours of calisthenics. When my class went through a couple of decades ago, we had a defensive tactics instructor named Bob Natzke. The man was a martial arts legend and seemed to enjoy pitting us against one another in full-contact fights. Incredibly fit, he expected all of us to be as well, leading us through hours of exercise he liked to call “push and puke.” One morning, while the class endured seven slooooooow pushups, stretched over an hour and a half (that’s right, I said “7”), Mr. Natske scuttled back and forth between us, himself in pushup position, screaming in our faces as we trembled in various stages of up and down, about how we were all bound to be stabbed to death on the street if we didn’t get our crap together. I once saw a deputy drop her tray of food in the cafeteria when someone jokingly said, “Here comes Mr. Natske.” He retired soon after I graduated. But the cadre of deputy marshals in our class shares a common bond because of the blood and sweat that guy got out of us. He made us better and safer deputies. We love him for it and wouldn’t trade the nightmare for anything. People who’ve served in the military know even better than I, but there is a bond between those who work together under hardship and danger. I’ve written a couple of essays about scrapping. The men and women who were involved with me in making those arrests and fighting the worst of those bad guys will always be my brothers and sisters. 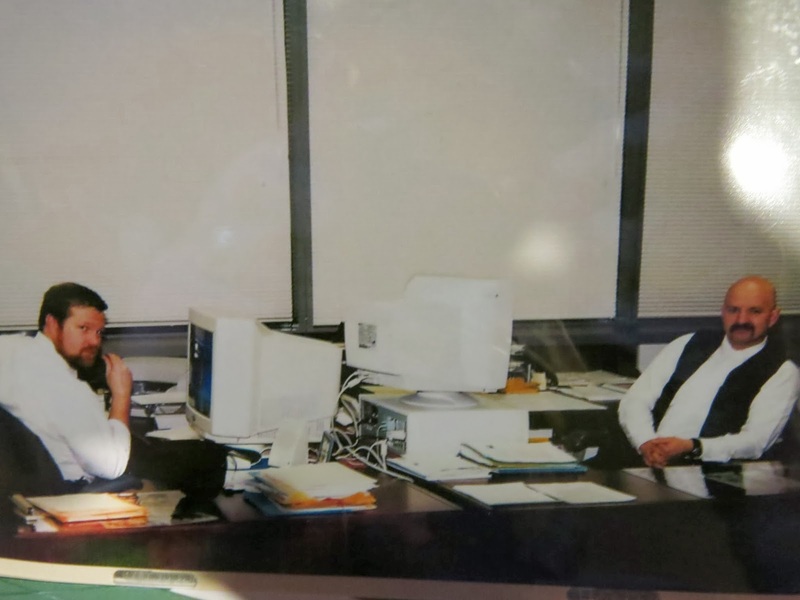 I still keep in touch with one of my captains from the police department where I started thirty years ago. She was my sergeant when I was a rookie, and took me under her wing. We fought some mean folks over the years, side by side, and I grew to trust her with my life. We once arrested a guy who was so disturbed he’d followed the Biblical admonition to pluck his own eye out because it offended him. He’d broken a ketchup bottle in a café and was threatening the patrons with the jagged glass when we rolled up. There happened to be a photographer nearby while we were wrestling the guy down. I don’t remember it being all that fun, but in the picture, we looked like we were having a grand old time. I have the photo from the newspaper in my scrapbook. Fights, wrecks, midnight surveillances, protracted fugitive hunts for evil men, horrible bosses all add to the bond. Old buds never meet after a long absence and grab each other in the backslapping, brotherhood handshake to say: “Man, remember when we had to walk through that field of posies?” No, we want to reminisce about the time we walked barefoot over broken glass—as a team, with a common objective. My friend Ty Cunningham, a ninth degree black belt in jujitsu, helps me work through most every fight in my books. We’ve been friends for twenty years and every time I see him, I can’t help but remember the rough adventures we’ve had together. We’ve camped in fifty-below weather, tracked bad outlaws and even had a run in with a mama grizzly. There has never been a time that he didn’t have my back. I once found myself in a bit of a jam with a couple of outlaw biker types at a nearby lake. We were locked in a little staring match and I seriously thought things might go to guns. Ty had been at the other end of the park, playing catch with his sons but apparently saw what was happening. I was not in a position to turn around, but could tell by the look in the bikers’ eyes that Ty had covered the distance in a flash and now stood behind me, ready to follow me into whatever scrap I’d gotten myself into. There were no questions, only instant resolve—and friendship. 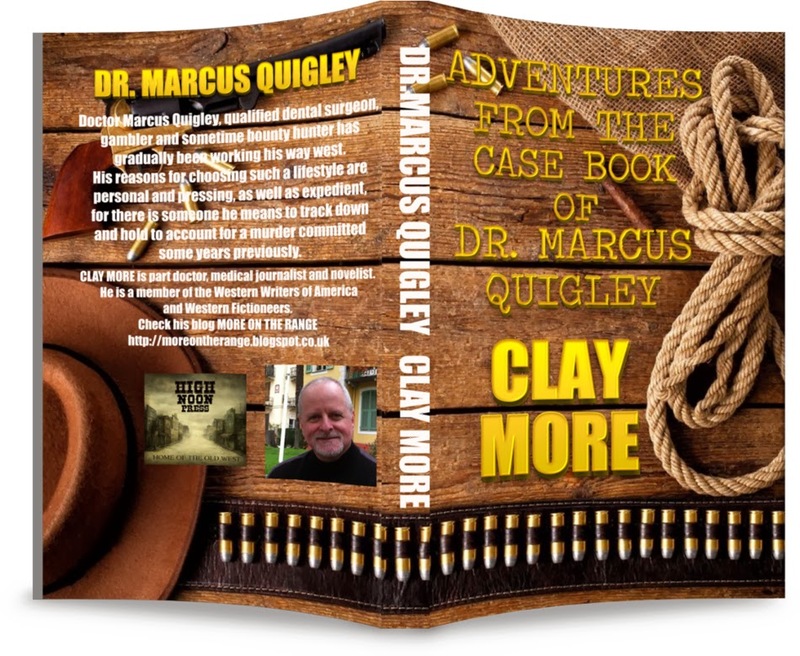 So, when I write about partners like Trap O’Shannon and Clay Madsen in my Westerns or Jericho Quinn and Jacques Thibodaux in my Thrillers, I know from where I speak. There is a synergy that comes from two strong people working together, completely devoted to each other. There are a couple of people I know I could call, even if I was wrong, who would come a runnin’, with no questions asked. And those people know I would do the same for them. That’s the sort of friendship I like to give the buddies in my books. My bride and I share that same relationship. We’ve been through all sorts of hellacious adventures over the last thirty years. Poverty, on the job injuries, long months of separation, the death of a child, cancer, the struggles associated with raising three kids—all just add to the glue. Like Danny Glover’s character felt about Mel Gibson, my wife wasn’t too fond of me when we first met. It took us a while to get there, but she came around to my quirky ways. I hope she knows by now that if some bad guy ever puts a bomb under her toilet, I’d stay right there with her like Mel did for Danny. And, if I ever get blood poisoning and have to get my leg cut off and then ask her to take my body back to Texas to be buried, I have no doubt that she'll just saddle her mule and head south. You see, we’re just that kind of friends. 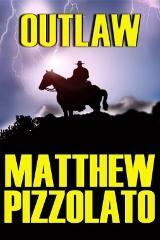 What do you get when you cross campy humor and fast action with a western fictional icon? Lots of grumbling, that’s what. I have a tendency toward the irreverent, so no grumbling from me. The Lone Ranger starring Johnny Depp, Armie Hammer, and Helen Bonham Carter is one of my favorite 2013 movies, even if I didn’t see it until 2014. Frankly, with all the bad reviews (in America—the reviews abroad were quite positive), my husband and I had no urgent desire to watch it. Then again, we generally like what the critics hate, including Cowboys and Aliens, so those reviews didn’t deter us much, nor did the protests that the 2013 film didn’t follow Lone Ranger canon. I’m a whole lot more interested in good entertainment than in Johnny Depp’s bird headdress or whether Armie Hammer’s John Reid was in the original radio show. Don’t get me wrong—I loved the television show starring Clayton Moore, and he’ll always be the true Lone Ranger to me. But that doesn’t mean I can’t enjoy another character type or another depiction. 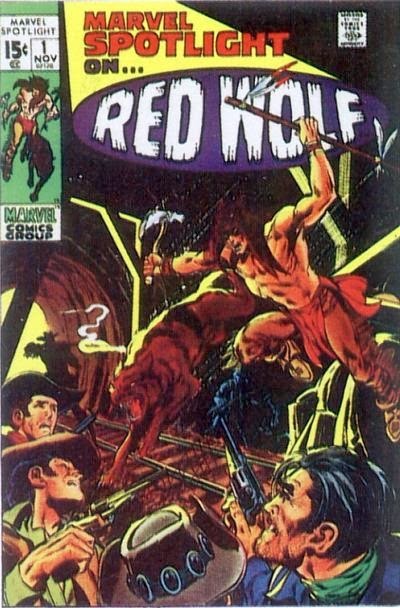 Jay Silverheels is firmly entrenched in my childhood memories as Tonto. 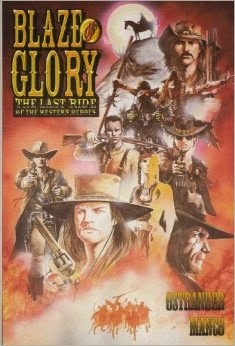 My husband got it right when he said that if the moviemakers would’ve made up a new character instead of using the highly venerated Lone Ranger, the film would’ve been a hit. Funding would’ve been nigh to impossible, though, so likely the film never would’ve happened. 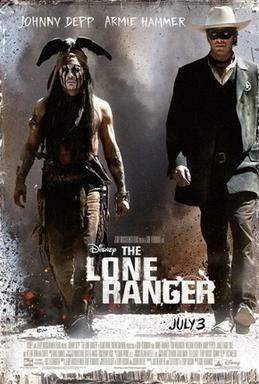 Was The Lone Ranger historically accurate? Of course not. Neither was the original Lone Ranger. Did director Gore Verbinski do a good job with the story world? I thought so. If you didn’t know anything about the Texas Rangers or the events surrounding the driving of the Golden Spike at Promontory Point, you’re off to a good start. The story wouldn’t have worked out if they’d used the actual events and besides, this is fiction, folks. Pure entertainment—not a history lesson. My 14-year-old grandson, who said he didn’t like westerns, loved it. How’d I get him to watch it? I told him it was a funny movie with lots of shooting similar to Pirates of the Caribbean, and that critics hated it. He’s 14, so that last item was a big draw. He wants to watch it again this weekend and maybe invite some friends. I suppose with the big to-do and the hesitance of the theater audience that there won’t be a second movie. That would be a shame, because this is the sort of film that requires some time to catch on. My guess is that video sales will make up for any deficiencies at the box office and eventually it’ll become a cult classic. We’ve screened The Lone Ranger twice this week and will be watching it again in a couple weeks with extended family. Believe me, it’s not a sacrifice. I enjoyed the second viewing more than the first. Armie Hammer has a lot more talent than I expected and I’m looking forward to seeing him in future roles, Johnny Depp’s Tonto didn’t put me off at all as I did expect, and Helen Bonham Carter’s ivory leg was just plain fun. William Fichtner’s Butch Cavendish role was much more disgusting than it needed to be, but Fichtner did have his “good” bad guy moments. Tom Wilkinson is always an asset to any film, and he played Latham Cole perfectly. The star of the show was the Spirit Horse (Silver—actually several different horses were used), but I loved the scene where Tonto is trying to convince the Spirit Horse to pick Dan Reid instead of John. If you didn't see The Lone Ranger in the theater, watch it at home. Even though the action plays great on a large screen (ours is 8' and our recliners are 6' away, per my audio/video engineer spouse--who also has seven huge studio quality speakers each with their own amps... and I don't know what all), I'm sure the film would be great on a normal-size television. But go into it with an open mind and expect to be entertained, because this movie delivers.